THOUSANDS of bookworms, students and digital researchers will soon experience a unique lounge atmosphere, thanks to the much-anticipated €31m library transformation at University of Limerick. 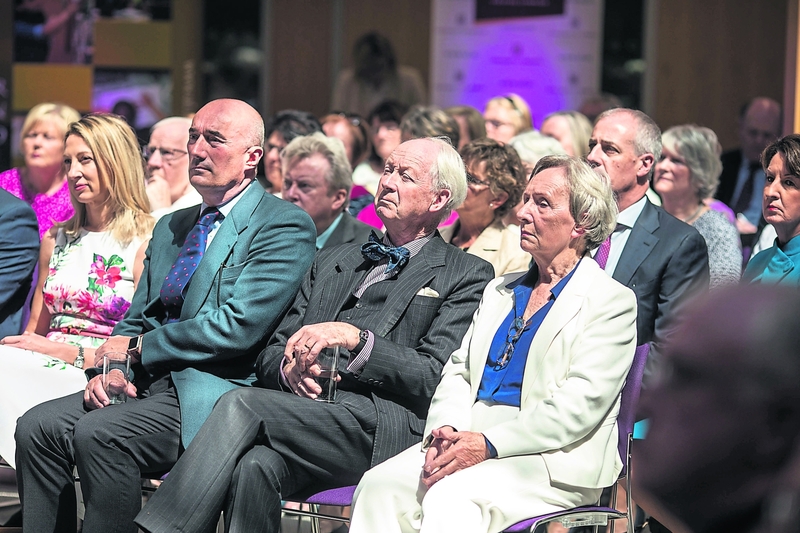 A number of eminent figures attended the launch of the Glucksman Library 7,600 squaremetre expansion, which now optimises student space, specialist facilities, acoustics and research zones. 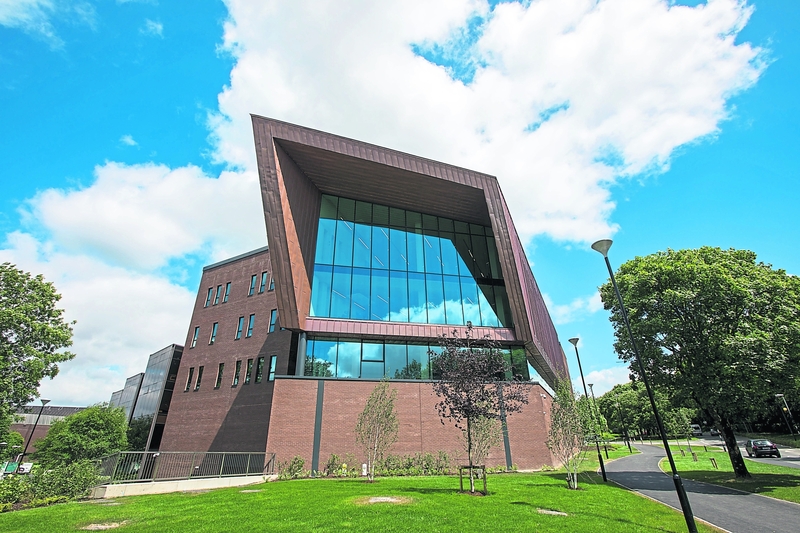 The new technology-rich library, one of the most modern in Europe, will accommodate 2,200 study spaces and areas for mock courts and digital research facility. 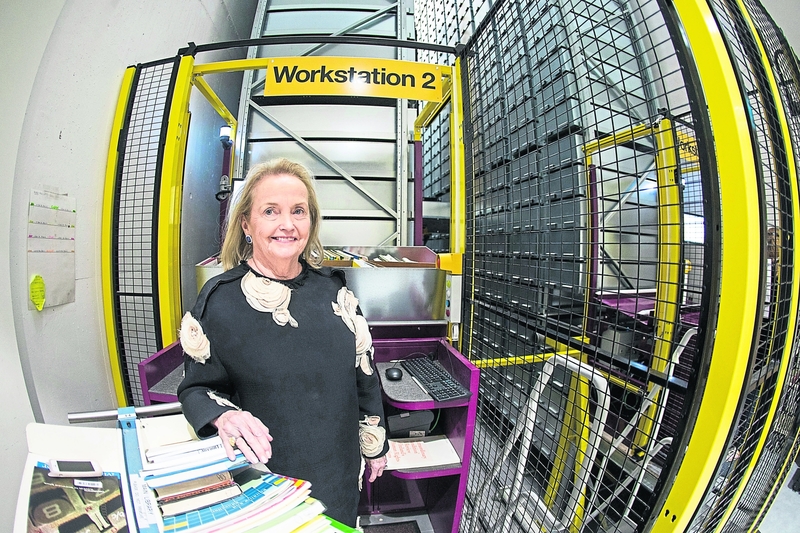 One of the most unique features of the library is the Automated Reserve Collection (Arc), a 10-metre tall book vault and robotic crane (pictured below with Loretta Brennan Glucksman), which can access 500,000 volumes in the space of a few minutes. Previously, a manual system meant students were waiting for days and, in some cases, weeks for a book. UL’s Director of Library and Information Services, Gobnait O'Riordan explains how the machine works, which is the only one of its kind in Europe. There are only around 50 across the globe. 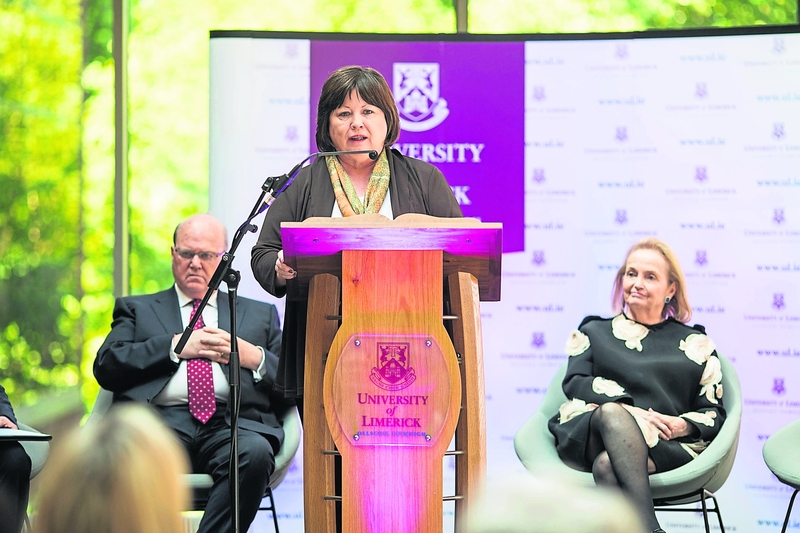 Speakers at the event included UL president, Dr Des Fitzgerald, former Minister for Finance Michael Noonan, former Tanaiste and UL chancellor Mary Harney, philanthropist Loretta Brennan Glucksman. Ms Harney described the new library as an exciting development for the Mid-West region, as UL celebrates 30 years as a university this year. “There is simply no substitute for an extensive collection of accumulated knowledge in books, essays, periodicals and other academic resources. “The development of the Arc will provide an additional capacity of 500,000 volumes that are readily accessible to library users. Unique and distinctive archives and special collections are increasing in importance as a basis for research and as distinguishing features of the university. The new facility provides UL with additional space for 100,000 volumes in environmentally controlled storage, which will allow UL to grow its holding of manuscripts and rare book items,” she said. The New Glucksman Library will be fully functional next semester after the summer recess.